People just love a good, embarrassing typographical error story. Like this one about the ambidextrous pitcher. People also love a good space exploration story. 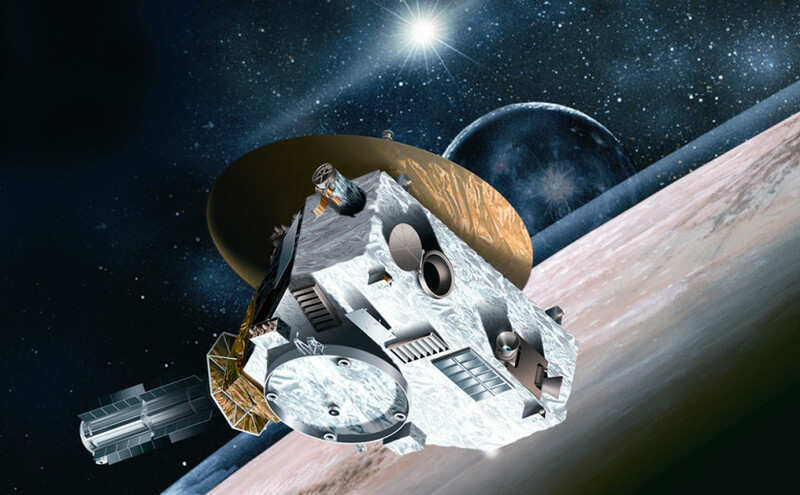 This year the one making headlines is NASA’s historic New Horizons endeavour – it’s the first mission to reconnaissance the ice dwarf Pluto and send back photos, and the first slated to explore the Kuiper belt, that external circle full of scattered leftover objects from when our Solar System formed. The probe launched back in 2006, and has steadily worked its way towards Pluto ever since, with first fly-by encounter slated for 14 July this year. The goal of the mission is to figure out what Pluto and its moons have to do with the rest of the solar system, as well as get a glimpse at what interesting stuff we might find in the Kuiper belt, and what that might tell us about the origins of the little corner of space our little planet occupies. Pluto – and the Kuiper belt itself – was a fairly late addition to our understanding of our Solar System. Young American astronomer Clyde Tombaugh spotted it in 1930 while systematically looking for the theoretical ‘Planet X’, a body whose gravitational influence could help explain certain discrepancies in the orbits of the outer gas giants. This theory was scrapped in the 90s thanks to new, more precise data; but the discovery of the Kuiper belt remains. Humans being a sentimental bunch, one of the non-scientific objects carried by the New Horizons probe is a portion of Clyde Tombaugh’s ashes, sealed in a small two-inch (5 cm) canister that’s attached to the inside of the upper deck of the spacecraft. After the historical flyby past Pluto, Tombaugh will become the first person whose remains will ever leave our Solar System. Which leads me to this tweet. At first glance, it looks like a funny catch… except it doesn’t stand up to scrutiny. In fact, it’s a pretty dumb assumption to make. This inscription was penned by Dr Alan Stern, New Horizons principal investigator. It’s been quoted in press releases, and inscribed onto a canister that was going to fly into space. Furthermore, it’s a memorial and a tribute – not the kind of thing one would make a spelling error on. Sure, mistakes happen, but all signs indicate this was not one. To be fair, if you look at the modern definitions of the word ‘to intern’, it means either to serve as an intern, or “to oblige to reside within prescribed limits under prohibition to leave them, as prisoners of war or enemy aliens, or as combatant troops who take refuge in a neutral country.”1 But when you look at the etymology of the word, it means simply to “confine within set limits”. To suggest that ‘interred’ would be correct is preposterous, because that, of course, indicates being buried, “put in the earth”. Surely space explorers know better than to use that, eh? I think ‘interned’ is actually a lovely old word that seems quite appropriate for one of the coolest canisters of ashes ever. There. I really had to get this out of my system. Happy travels, New Horizons! Pingback: Picture TUESDAY: Special Pluto edition! Whoa. Not sure I’d call it a ‘dumb assumption’. Interned is most commonly used to refer to imprisonment, which is not what was intended. Interred, while not correct, is associated with where dead people’s remains should go, which is what the message is talking about. So yeah it’s not a typo, but evidently confusing to people unfamiliar with the 14th Century definition of a word.